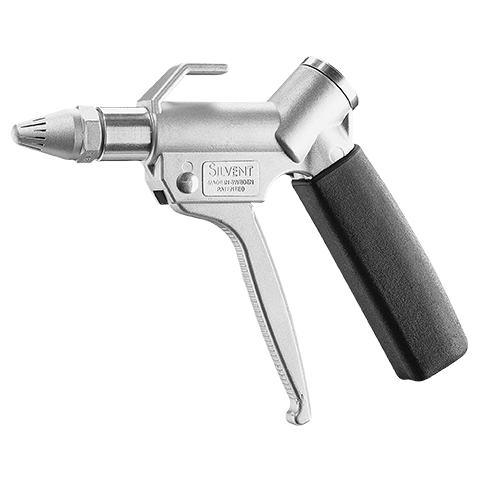 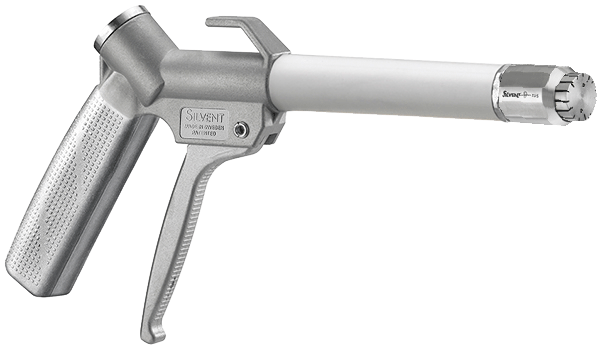 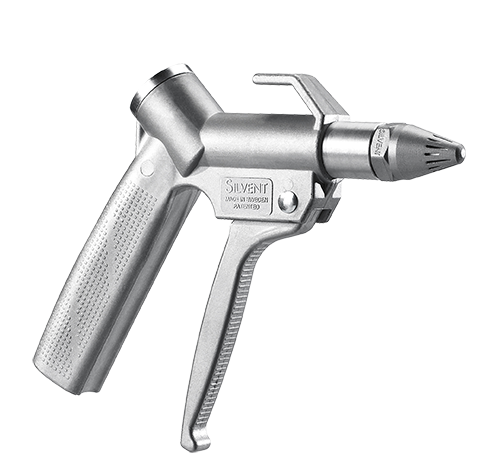 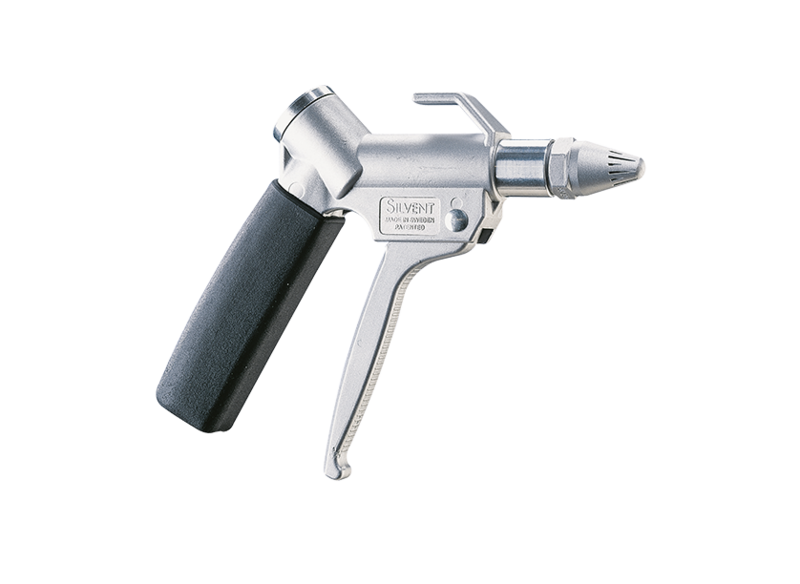 SILVENT 2055-A is a safety gun fitted with an aerodynamic aluminum nozzle that offers a blowing force that is equivalent to 5 conventional air guns. 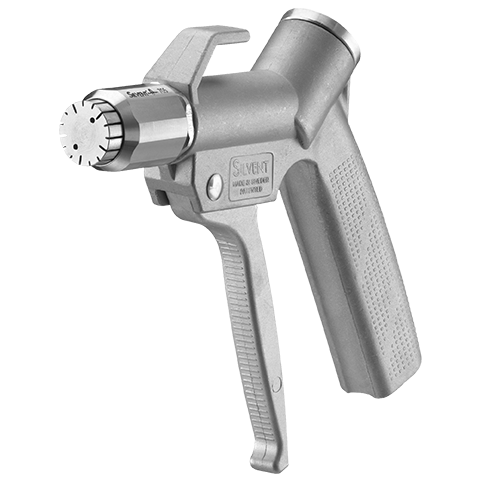 Despite this exceptional blowing force, the sound level is comparable to that of an ordinary gun. 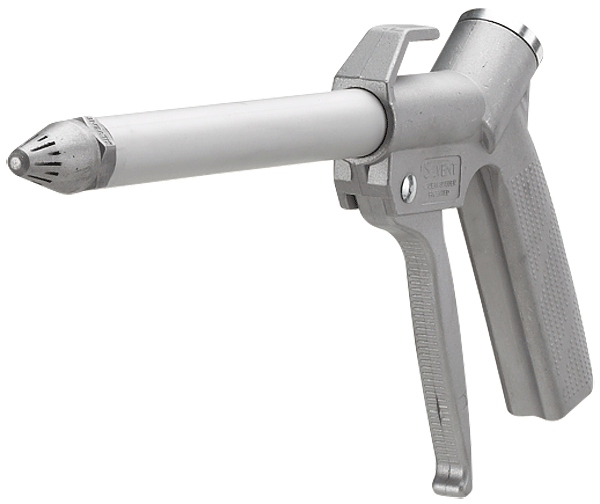 The 2055-A is a powerful and handy safety air gun that is suitable whenever you need high blowing force to get the job done.